San Diego is a city in the State of California. It’s one of the major cities of the state. It’s also one of the largest cities in the US. It sits on the Coast of the Pacific Ocean. It’s located south of Los Angeles. San Diego is pretty close to Mexican Border. It is the 2nd largest city in the state after Los Angeles. San Diego is a nice sunny city. Many people come here to enjoy local beaches and other attractions. For instance, the famous Sea World and the zoo. San Diego is also a popular place during San Diego Comic Con. 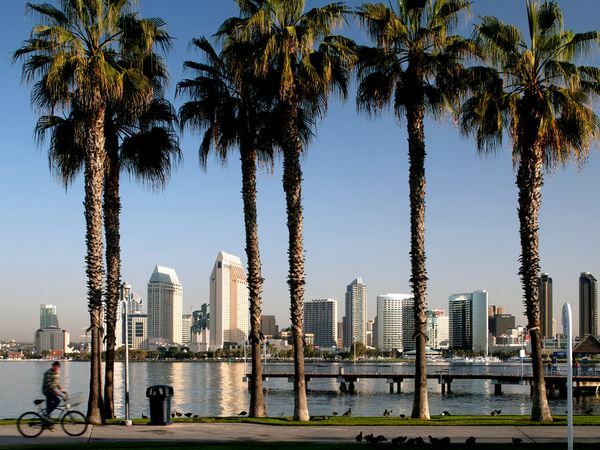 If you are going to San Diego, don’t forget to take care of your San Diego Auto Transport! San Diego Auto Shipping is the easiest way to move your vehicle to or from San Diego. It’s safer and costs less than driving all the way. Am Pm Auto Transport can ship any vehicle to or from San Diego for you. We can ship cars, buses, trailers, vans, RVs and all other kinds of vehicles. You can rely on us with all your San Diego Car Transport needs. We know how to take care of any vehicle and we ship door-to-door. And many other San Diego Car Transport services! We have been in business since 2008 and have helped thousands of clients from all over the US. We are one of the most reliable San Diego Car Transport companies. We have proved it with our work. And we will be happy to provide you with our San Diego Auto Shipping service!